Tammy and Joe's Wedding Day Teaser from Audio Video Art - 615-783-1536 on Vimeo. Annie & Jamie's Wedding Day Teaser from Audio Video Art - 615-783-1536 on Vimeo. Katie & Luke's Wedding Day Teaser from Audio Video Art - 615-783-1536 on Vimeo. Having a video production company allows me the honor of capturing many memorable events. Here is a highlight reel I made from a recent Indian wedding. What a beautiful 2 day event. "Oh Matt!!! It's just WONDERFUL I had tears rolling down my cheeks the whole time (as you and I know...tears are a good thing!!)! Thank you for all the special touches and insights you share throughout the video. You are truly a master at your craft!" Miles and Meredith's Wedding Day Teaser from Audio Video Art - 615-783-1536 on Vimeo. Emily and Andrew's Wedding Day Teaser : Our sample teasers, like a regular movie trailer (teasers), give the newlyweds something exciting to view and share with family and friends (through email, facebook or blog) while we work to complete the full length feature. In addition to a trailer the couple will receive the full length edited version of our multi camera coverage from the ceremony, reception and other elements special to the package they had selected. What an honor - after having captured Megan and Ryan's beautiful wedding a few years ago, they had me create a highlight of Harper's 1st year. - Happy Birthday Harper!! I just finished editing and uploading Emmie and Kirk's wedding day teaser. The wedding was at St George's Episcopal Church. Thanks to Helen Geddes Morisette and Betsy Butler for being such awesome pros to be around. Alexanderia and Chip had a fun around town Nashville photo session between their ceremony and reception. Starting at Scarritt Bennett and ending at the Capital.. I hope you enjoy it! 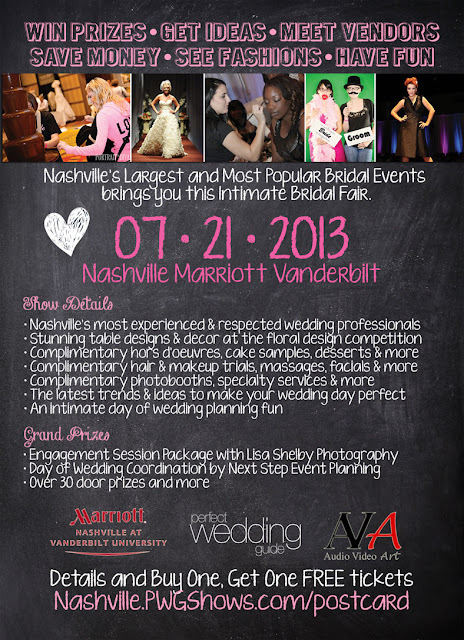 As one of the Sponsors, I am looking forward to the July 21st Bridal Fair at the Nashville Vanderbilt Marriott - I hope to see you there!!! Here is Katie and Jon's Wedding Day Teaser (Think movie trailer). Their wedding and reception was in Columbia TN at Maury Hills Church and The Westbury House. Keep an eye out for Lindsey & Brandon's wedding day teaser be released next week. Here is a little of what we do prior to a ceremony. PreCeremony at Legacy Farms from Audio Video Art - 615-783-1536 on Vimeo. A beautiful wedding at Scarritt Bennett. a whirlwind photo session around, Nashville and an elegant dinner at The Hutton Hotel's 1808 Grille. I am excited that Audio Video Art has been awarded the WeddingWire Brides Choice award for the 3rd consecutive year. 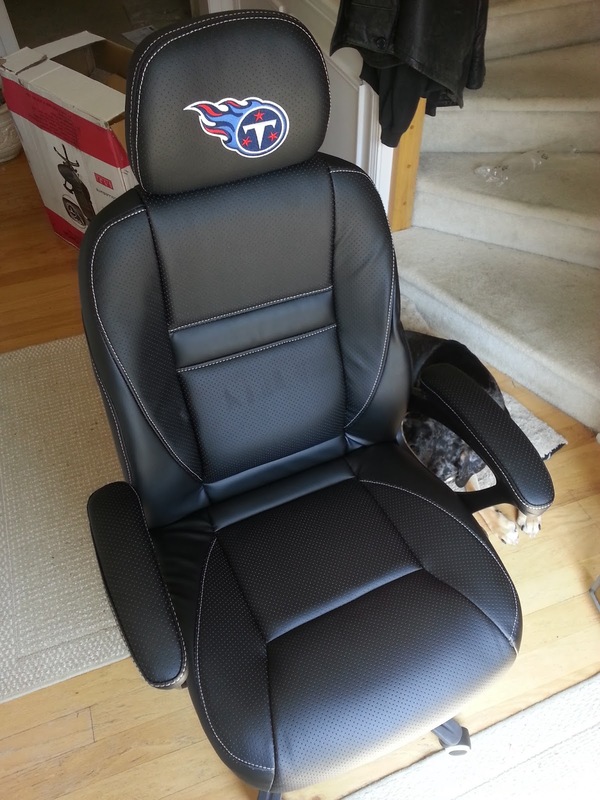 Thank you for the 60 stellar reviews that has made this possible. I look forward to another great year of beautiful weddings and wonderful clients in 2013.